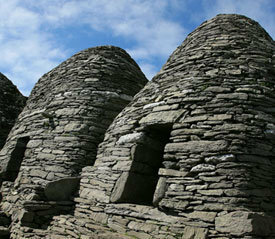 As many Star Wars fans are well aware, the Skellig Islands play a significant role in the latest instalments of the worlds most popular and iconic film franchise. 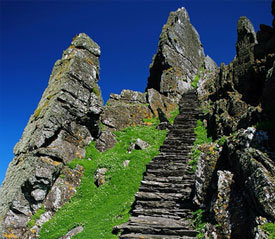 Shooting for Episode VII – The Force Awakens took place on Skellig Michael in September 2014. Sea Quest played a pivotal role in providing access to the Skelligs – transporting talent, crew and equipment daily throughout the three day shoot. Seanie features in the end credits as Lead Boatman within the Ireland Unit of production. 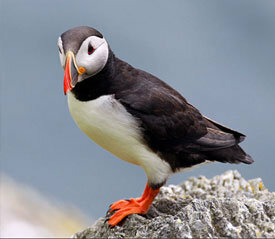 The cast and crew returned to film once more in September 2015 for Episode VIII – The Last Jedi, and once again Sea Quest provided access to the Skelligs for shooting. Episode VIII is released on 15th December 2017, with Skellig Michael expected to feature prominently in this latest offering of the Star Wars franchise. Following the Skellig Islands introduction into the Star Wars universe in Episode VII, Episode VIII: The Last Jedi is expected to feature the Skelligs more prominently, with the trailer providing us with mouth-watering glimpses of what is to come. 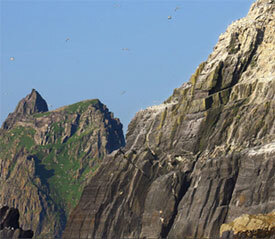 This video provides a behind the scenes perspective of the logistics required to shoot on the majestic Skellig Michael. Director J.J. Abrams, Production Designer Rick Carter and Executive Producer Tommy Harper all speak of the challenges and magic of shooting on the Skelligs. Seanie can be seen assembling tourists on board Sea Quest at 00:27. During this Q&A with the main cast of Episode VII, Daisy Ridley and J.J. Abrams speak about the unique experience and challenges faced shooting on Skellig Michael.